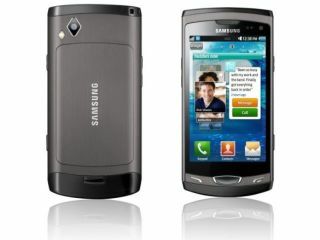 Samsung has announced the arrival of its latest Bada smartphone – the Samsung Wave II. Hoping to ape the popularity of the first Wave (which was also the first phone using the Bada OS), Samsung has made some tweaks to the smartphone - the major one being that it has opted to change the screen from Super AMOLED to a 3.7-inch Super Clear LCD. This is said to be anti-scratch, anti-smudge and anti-reflective. When it comes to other features, the camera inside is the same as the original Wave (5MP) as is the 720p recording capabilities. The whole thing is powered by a 1GHz processor and there is a nice little 2GB storage on board. On the apps side, there is a Dolfin Browser 2.0 inside, A-GPS, Social Mapping (Geo-tagging) and 3D maps. Also integrated into the phone is Social Hub, which lets people view their phonebook, social networks, Instant Messenger and email together in an integrated one-page layout. It's nice to see the Samsung Wave II out in the UK, as it was announced for Russia and South East Asia way back in June. The Samsung Wave II has a UK release date of December, with carriers to be announced.